Usage notes: The French expression tomber dans la marmite, which I’ve yet to find in any dictionary, comes from the French comic strip Astérix. 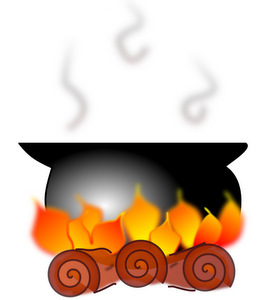 * When Obélix was little, he fell into a pot of magical stew and drank it all, putting him under a permanent spell of superhuman strength and making him forever obsess about the magic potion. 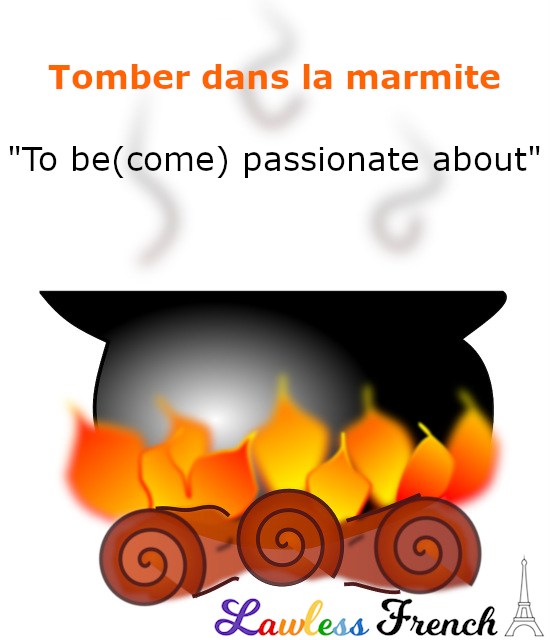 In real life, tomber dans la marmite refers to a person’s (usually life-long) passion for any given subject or activity. Je suis amoureuse de ce pays ; je suis tombée dans la marmite française à l’âge de 15 ans. I’m in love with this country; I fell under the French spell when I was 15 years old. Franck est tombé dans la marmite des motos quand il était tout petit. Franck became passionate about motorcycles when he was very young. Quand es-tu tombé dans la marmite de (la musique de) Bach ? When did you become passionate about Bach(‘s music)? You can use tomber dans la marmite with people in the sense of loving their work, but for falling in romantic love, you need tomber amoureux. Une marmite has nothing to do with the British substance “marmite” – they are faux amis. See the literal translation above. There is in fact a connection with the British foodstuff Marmite because this is named after the French dish or ‘marmite’. The label has a little cooking pot on it if you look closely. If that were to happen one would either love it or hate it I suppose!